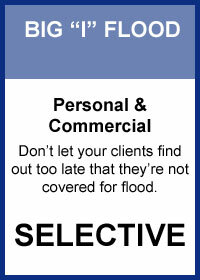 At Selective, we know writing flood insurance business is complex - and agents already have a lot on their plate, so any time saved means more time for them to capture new business. For this reason, we offer QuoteitNow - a self-service flood quoting tool that can be easily added to Selective appointed agency websites. In just a few simple steps, QuoteitNow walks customers through a flood application up to binding and directs them to contact the agency to finalize the process. Why not maintain a personal touch with customers, while empowering them to start the flood quote process on their own - and at their convenience? 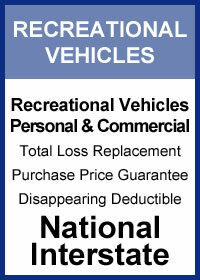 Work with Selective to save time, save money and drive business. To learn more watch our brief video here. For additional questions or to become a Selective appointed flood agent, contact Quoteitnow@selective.com today. Due to increases in catastrophic event frequency and severity, and to address the associated rise in expenses, Congress has passed numerous updates to help stabilize the National Flood Insurance Program over the last several years, including reforms such as BW12 and most recently the HFIAA. Continuing with these efforts, FEMA is preparing to roll out additional changes in April. To help agents clearly understand what to expect come April and how the changes may impact customers, please click here to review Selective's April 2016 NFIP Changes summary. It's important to keep in mind that while some of these changes will undoubtedly affect the overall cost of flood insurance, Selective works closely with their agency network to keep customers and prospects fully informed of their flood risk. 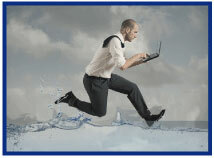 To learn more or to become a Selective appointed flood agent, contact floodsales@selective.com today. 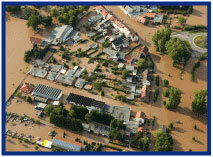 Flooding - it can happen to anyone, anywhere, at any time. With every state experiencing a flood in the past five years and knowing that just a few inches of water can cause tens of thousands of dollars in damage - it's now more important than ever to ensure your customers have the protection in place they deserve. At Selective, we realize this, which is why we now offer agents access to a fully automated excess flood insurance product through a Lloyd's coverholder that makes quoting and binding excess coverage a breeze. 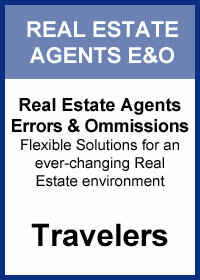 To learn more or to become a Selective appointed agent, contact floodsales@selective.com today. Note: Excess flood insurance is provided to you through Selective and powered by DUAL Commercial, LLC, a Lloyd’s of London coverholder. Insurance and Investments: Remember Investment Income? Recently, I was preparing for our annual Big I Reinsurance Board meeting and our Board's review of our investment policy. We are a smallish reinsurer established to create a long-term alignment of financial interests between Swiss Re/Westport and our agency E&O program. For about two-thirds of you, we actually reinsure a small part of your policy every year. Your national association and 43 states invested but we have been as conservative in our investments as possible since we started. Still, each year the below principal catches my eye. Source: Overview & Outlook for the P/C Insurance Industry: Trends, Challenges and Opportunities in 2014 and Beyond. Insurance Information Institute and Robert P. Hartwig. What is the point of above? 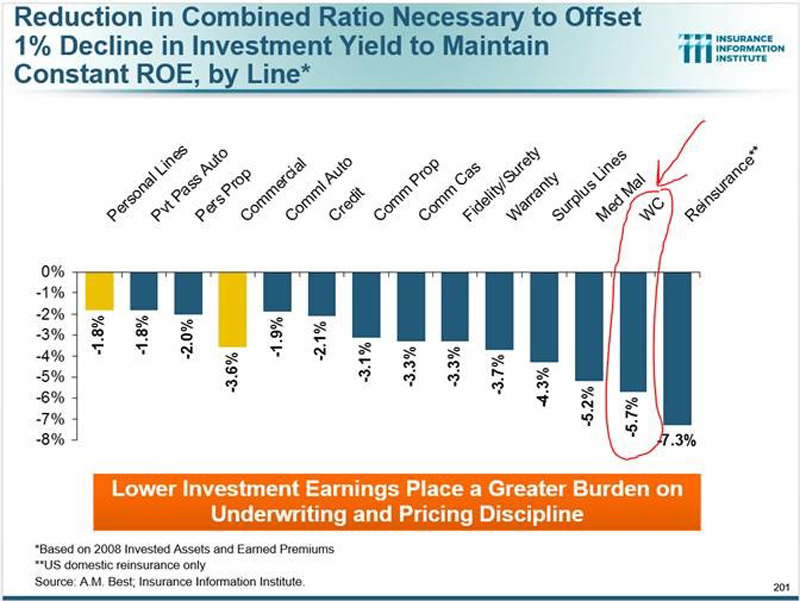 Investment income and the impact on an average insurer's profits is substantial, particularly on long-tailed lines like workers' compensation and professional liability. At Big I Reinsurance we have chosen to risk very little on our investments and protect our investor's principal. That is a choice. Most commercial insurers, however, are more aggressive on investment risk. For example, for the average insurer writing workers' compensation, the impact on profits of a one point reduction of investment returns is the same as increasing the loss ratio six percentage points "to the bad" (from 60% to 66%). Ouch, six times or 6:1. 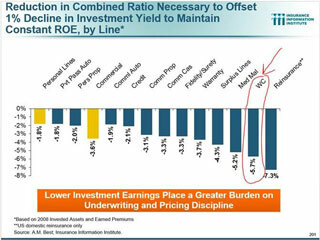 Needless to say investment income is very important to insurers. Congratulations to this week's winners - Ellen McCarthy (KS), Linda Davidson (WA), Carol Hunt (AL), Robin Cornelius (IN) & Katrina Willard (FL). 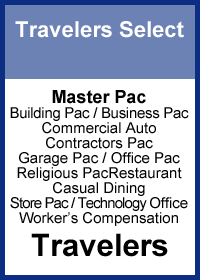 Congratulations to our agent in Virginia on a religious pac sale of $3,190 in premium!